Relaxation techniques are basically various methods used to focus the attention on calming the mind and relaxing the muscles and include activities such as visualisation exercises, guided imagery, biofeedback, self-hypnosis, progressive muscle relaxation or deep breathing exercises. Meditation and practices that include meditation with movement, such as yoga and tai chi, can also promote relaxation. The goal is similar in all; to produce the body’s natural relaxation response, characterised by slower breathing, lower blood pressure, and a feeling of increased well-being. Relaxation techniques work very well with children as they are all gentle exercises. One of the major boons of relaxation training has been in lessening or alleviating chronic, severe pain. Such pain can arise from many different causes, including backache and chronic migraine or tension headaches, diseases such as cancer, and even as the unintended outcome of operations to control pain. Relaxation Therapy is being used clinically for a range of medical problems, including the management of the side effects of such medical procedures as kidney dialysis and cancer chemotherapy, gastrointestinal problems like irritable bowel syndrome, and insomnia, emphysema and skin disorders. Psychological therapies such as relaxation techniques as well as other approaches such as cognitive-behavioural therapy, can reduce pain in both children and adolescents with chronic headaches or other types of chronic pain and the effects can last for months. Relaxation Therapy has been around for thousands of years in the forms of transcendental meditation (TM), yoga, t’ai chi, qigong, and vipassana (a Buddhist form of meditation meaning insight and also known as mindfulness meditation). Progressive relaxation, a treatment that rids the body of anxiety and related tension through progressive relaxation of the muscle groups, was first described by Dr. Edmund Jacobson in 1929. Relaxation in psychology is the emotional state of a living being, of low tension, in which there is an absence of arousal that could come from sources such as anger, anxiety, or fear. The idea of relaxation in psychology became popular when Dr. Edmund Jacobson published his book Progressive Relaxation, a technical book geared toward doctors and scientists. Jacobson then published another book called You Must Relax in 1934 that was geared towards the general public. According to Jacobson, his research started in 1908 at Harvard University, and later moving on to Cornell and University of Chicago. His research was aimed at improving the general human well-being. In 1932, Johannes Schultz, a neuropsychiatrist who studied with Oscar Vogt, an eminent researcher into human brain functioning in Germany during the 1920s and 30s, developed a method of relaxation that emphasised using the power of suggestion, called Autogenic Training. It was then further researched and fine-tuned by Dr Wolfgang Luthe, professor of Psychophysiology at McGill University in Montreal. Simply speaking, Autogenic Training (AT) consists of a straightforward series of mental exercises designed to switch off the stress “fight or flight” system of the body and bring about profound relaxation in both mind and body. Dr. Herbert Benson, the guru of mind/body medicine, graduated from Wesleyan University and the Harvard School of Medicine, and nurtured his interest in mind/body relationships and developed an expertise in behavioural medicine and spiritual healing. In his research, Benson straddled the thin line between medicine and religion. He conceived of what he called a three-legged approach to health care: self-care, pharmaceuticals, and medical treatment or surgery. His most significant work was his discovery of the relaxation response, which is the connection between lowered blood pressure and transcendental meditation. In 1975, Dr. Benson published his ground-breaking work The Relaxation Response, which described in detail the stress-reduction mechanism in the body that short-circuits the “fight-or-flight” response and lowers blood pressure, relieves muscle tension, and controls heart rate. This work gave further credence and legitimacy to the link between mind and body medicine. A number of today’s commonly used relaxation techniques, such as cue-controlled relaxation, are a direct result of Benson’s work in this area. Cancer is a very stressful disease – between the pain and the stress of not really understanding what is going on, all the poking and prodding, injections and numerous tests, not to even mention the cancer treatments, children really need something that can just help them to relax and not think about their situation for a while. Relaxation techniques work well, especially during treatment when the child is feeling particularly vulnerable and has neither the strength not the energy to run around and play or do any strenuous exercises. Relaxation techniques may be helpful in managing a variety of health conditions, including anxiety associated with illnesses or medical procedures, insomnia, labour pain, chemotherapy-induced nausea, and temporomandibular joint dysfunction. Psychological therapies, which may include relaxation techniques, can help manage chronic headaches and other types of chronic pain in children and adolescents. ‘Just sitting quietly or, say, watching television, is not enough to produce the physiological changes,” said Herbert Benson, director of the Division of Behavioural Medicine at Beth Israel Hospital, a part of Harvard Medical School in Boston. The findings have led many hospitals to teach their patients ways to relax as part of their medical treatment. In some hospitals physicians can now prescribe a relaxation program that is broadcast on televisions in hospital rooms, so that patients can learn the techniques from their hospital beds. ”More and more doctors are seeing the value of these techniques as a way to tap the inner capacity of patients to help with their own healing,” said Jon Kabat-Zinn, Professor of Medicine Emeritus and creator of the Stress Reduction Clinic and the Center for Mindfulness in Medicine, Health Care, and Society at the University of Massachusetts Medical School. A 57-minute relaxation videotape on Mindfulness Based Stress Reduction (MBSR) made by Dr. Kabat-Zinn is in use at about a hundred hospitals. On that videotape, for example, patients are taught to meditate on their breathing, and are led in scanning the sensations throughout their bodies. The sympathetic nervous system reacts to stress by secreting hormones that mobilize the body’s muscles and organs to face a threat. 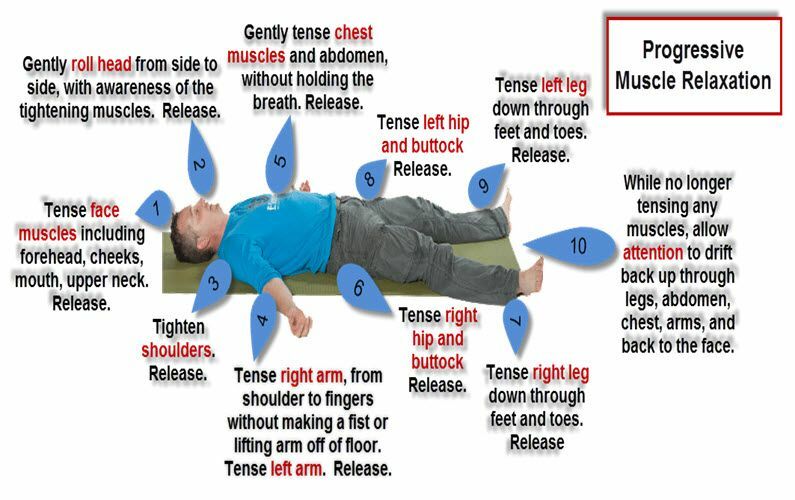 Sometimes called the ”fight-or-flight response,” this mobilisation includes a variety of biological responses, including shifting blood flow from the limbs to the organs and increased blood pressure. In contrast, the relaxation response releases muscle tension, lowers blood pressure and slows the heart and breath rates. Along with these changes come shifts in hormone levels that seem to produce beneficial effects on the immune system. For example, relaxation training in medical students during exams was found to increase their levels of helper cells that defend against infectious disease, according to a report the Journal of Behavioural Medicine.